In the traditional sports ecosystem, three organizations models dominate. The most decentralized sports, such as the PGA Tour or NASCAR, consist of largely independently organized competitions that are sanctioned and governed by an administrative body and are open to any qualifying athlete. From there, we have typical leagues like the NBA or Premiership which have a set number of recurring teams and players, and are extensively managed by a league front office that’s owned by each team. eSports are quite different. If you choose to race without NASCAR or play basketball without the NBA, there’s nothing (and no body) that can prevent you from replicating the experience. No one “owns” racing or basketball. But someone does own Overwatch, and if you want to play, you essentially have to go through them. And if you wanted to create your own eSports league, your ability to market or represent it would be entirely dependent on the legal team of the game’s publisher. Furthermore, the core experience is controlled fully by that publisher. Publisher-operated (or endorsed) leagues can do unique things (e.g. item drops, exclusive/first-release capabilities, bundle in original content) and offer unique monetization opportunities. Three months before The International, the yearly world championship for Valve’s DOTA2, Valve makes available for purchase interactive in-game items that directly contribute to the tournament prize pool. This model has been so successful that in 2016, the prize pool reached $19.17mm. Most tier-1 publishers also handicap the data streams that the public can leverage. Whereas in traditional sports there are multiple providers of a firehose of sports data, game publishers offer barebones APIs that allow access to little more than character information and select match data. Valve, offers an open API but as events this year have demonstrated, they can shut access off and change policies at any time. 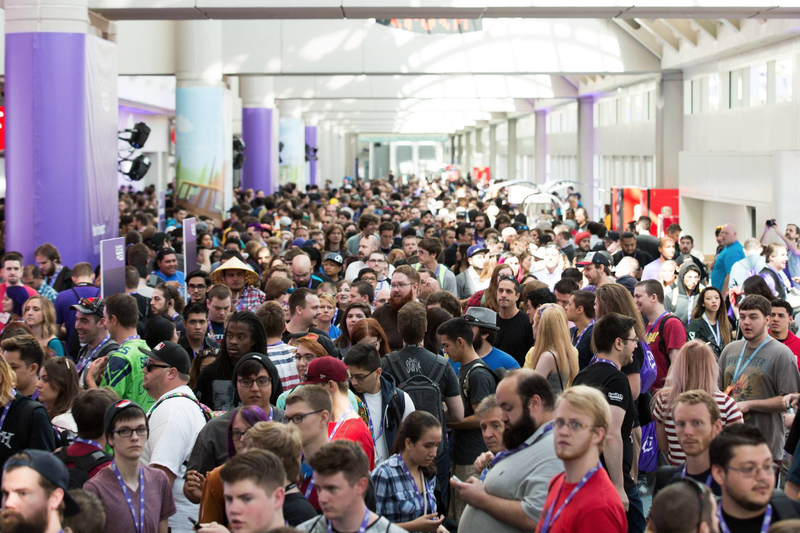 On the platform side, Twitch is miles ahead of competitors in terms of creating an external ecosystem thanks to its 2 year+ head start and passionate developer community but maintains an ever-precarious balance between build vs. buy. Because of these walled gardens, the investible opportunities within esports oftentimes end up being features not products, which set them and their investors up for more of an acquihire than a Twitch-esque exit. There’s a strong argument to be made to publishers that working with third-party developers will lead to a stronger overall bottom line, foster innovation and provide defensibility. It’s no secret that being a top publisher is a lucrative business. Activision reported $1.57 billion in revenue for Q2 of 2016 and EA $1.271 billion. It’s rumored that Valve’s 2015 revenues reached$3.5 billion in revenues in 2015 and Riot Games over $1.6 billion. It’s not hard to see why partnerships with third parties and external API infrastructure aren’t prioritized with so much money flowing to the developers directly in the game, but it’s shortsighted. As publishers start thinking about how to monetize beyond game licenses and IAP, every moment not spent developing the ecosystem is a wasted one. This isn’t unparalleled and we can see examples of where large platforms in other verticals have made the decision to invest in their future, often early on in their company lifecycle. Salesforce, an enterprise software company, has a market cap of $50 billion. A report last year by IDC put the opportunity front and center: the AppExchange currently generates 2.8x the revenue of Salesforce itself and is expected to grow to 3.7x the size of Salesforce. Slack, the enterprise collaboration tool darling, also gets it. Even before raising money in April 2016 at a $3.8 billion valuation and boasting over 1.25 million paying users, they announced the Slack fund in December 2015 — an $80 million investment into supporting new integrations. Slack and Salesforce could have went the closed route and developed these integrations and products internally but they understood that the immediate revenue tradeoff was well worth being able to focus on creating the best core product possible in addition to leveraging minimal company resources..
Now to everyone’s favorite esports comparison — traditional sports. During the height of the daily fantasy sports craze in 2014–2015, the NBA entered a multi-year partnership with FanDuel that gave it an ownership stake in the startup. The NFL expanded its partnership with Providence Equity in 2013 to invest $300 million to participate in “media and technology deals where it believes the league could help play a strategic role.” And these are just a few examples. Partnering with and investing in new properties allow older, larger establishments to participate in the upside of nascent industries quickly and cheaply. Publishers are thinking about the shelf-life of games — the NFL and NBA will both be around in 25 years. What about League of Legends or Counter-Strike? Opening up the ecosystem not only benefits players and fans by allowing them an outlet to interact with their favorite IP but ultimately enhances the core value of that IP and gives publishers an opportunity for additional exposure through revenue share, API fees and strategic investments. In addition to commercial benefits, let’s look at network effects. Valve is the publisher of both Counter-Strike: Global Offensive (25 million+ copies sold, 8.2 million+ players in the last two weeks), and DOTA2 (87 million+ times downloaded, 11 million+ active players in the last two weeks.) 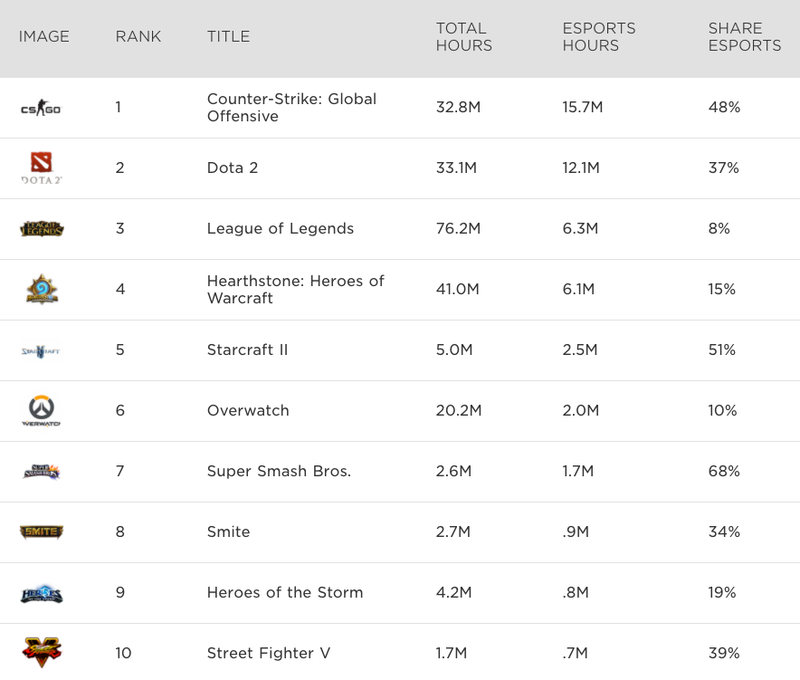 While the titles have richer histories than virtually any other competitive esport, Valve’s open API, developer tools and hands-off approach has contributed to their sustained success and status as two of the top esports titles. For Valve the boost in user acquisition, overall engagement and free marketing is well worth the short-term revenue tradeoff. (2) Competitive ecosystem: Valve has taken a hybrid approach to competitive eSports, where they have a handful of officially-sanctioned major tournaments sandwiched between multiple leagues and LAN events. This has let do a very robust landscape, with events and leagues like the ESL Pro League, ELeague, FaceIt Esports Championship Series and Gfinity, ESL One and IEM. These streams of revenue have contributed to a high demand for professional CS:GO players leading to lucrative contracts and opportunities. (3) The most lucrative has been the in-game skins economy, which allows players to purchase crates that contain different cosmetic versions of CS:GO weapons or DOTA2 items. During major tournaments, Valve offers exclusive stickers that generated up to high six-figures for qualified teams. Valve also allowed free reign on building interesting use cases with this skins economy including wagering, gambling and marketplaces (Bloomberg estimated yearly transaction volume to be >$7 billion.) Variations of this model have since been followed very conservatively by multiple franchises, including Call of Duty, Halo, H1Z1 and Overwatch. Facebook Live has launched to much fanfare and given their massive distribution channel, is always a huge threat. However, until they can get to feature parity, FB Live will need to rely on traditional media partnerships or viral hits to create consistent content. These types of partnerships don’t scale when we’re talking about the individual streamers and professional players that have played a large part in getting Twitch to 100mm+ MAU, although the signing of G2 and Heroes of the Dorm is a good first step. YouTube Gaming is farther along and is doing a great job of starting to launch some analogous features. How then, should publishers look to partner with entrepreneurs and third parties? I’d like to see publishers create a vehicle, individually or collectively in the model of the Disney Accelerator to offer mentorship, funding and support to kickstart the next generation of esports-focused businesses. Publishers should be developing their games as platforms, not individual entities — tons of data are being generated and archived and there is a treasure trove of use cases for them. I’m confident that we’re slowly moving in the right direction and one day we’ll see a truly open ecosystem with publishers and 3rd parties living in harmony.